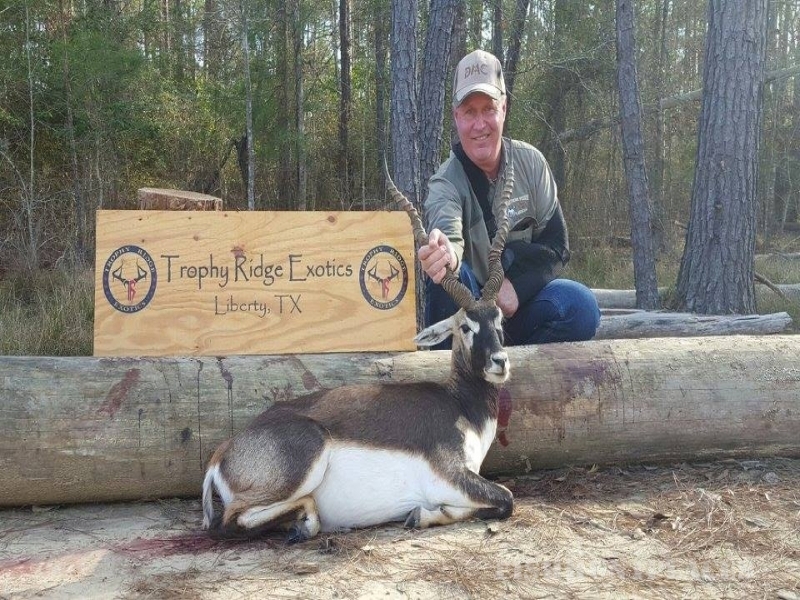 Trophy Ridge Exotics is a premiere Hunting Ranch located just one hour northeast of Houston on beautifully wooded property in Liberty County. 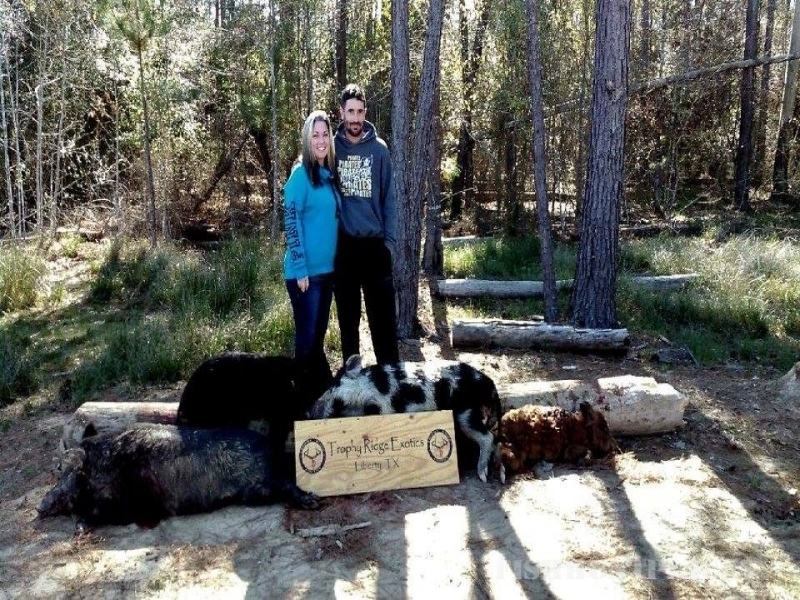 Our ranch provides the perfect setting for experienced hunter, family hunters and first timers. 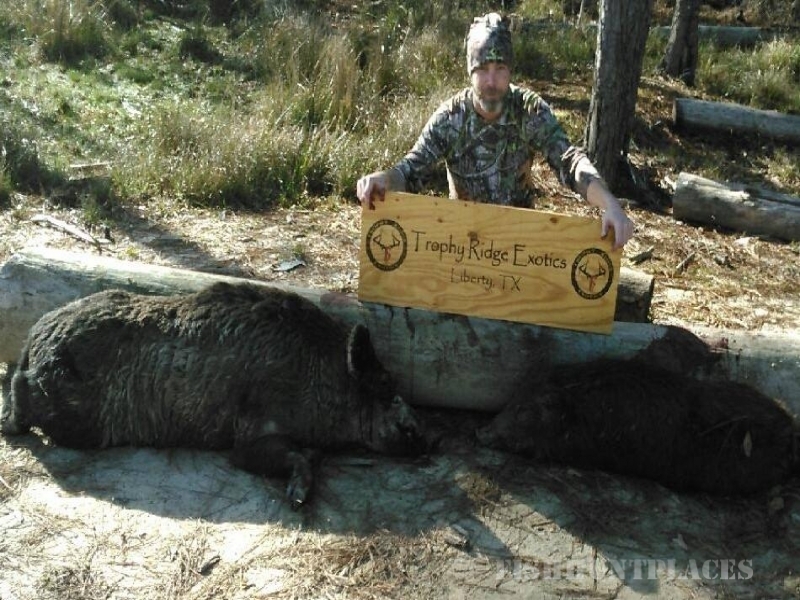 We offer a wide variety of year round hunting choices to meet your needs. Whether it’s that huge trophy deer, beautiful exotic, amazing ram or challenging wild boar our ranch has what you are looking for. Being hunters ourselves, we understand your needs. You can choose to hunt with a rifle or a bow. For all gun hunters, a guide will be provided. Bow hunters have a choice of several different stands throughout the property or can spot and stalk. We also have wheel chair accessible “Nature Blinds”. These unique blinds are insulated, roomy, have 360 degrees window coverage and look exactly like real trees. Great for all hunters. 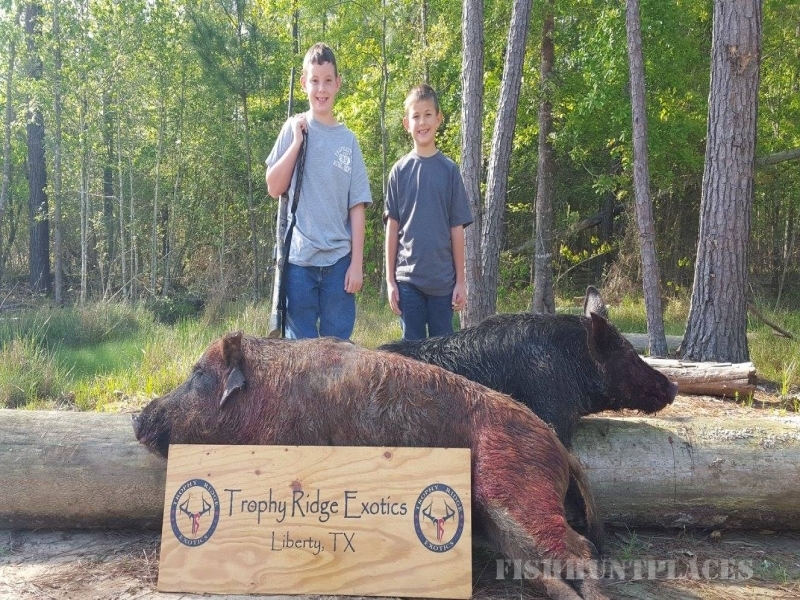 Their sound barrier characteristics also make them perfect for filming or coaching your young hunter. 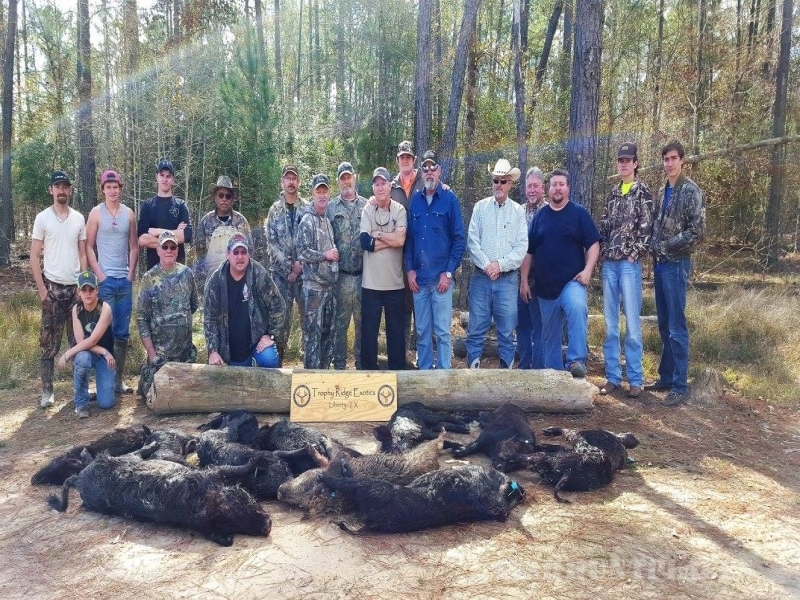 We offer several packages suited for experienced hunters, first-time and family hunters, and corporate groups. 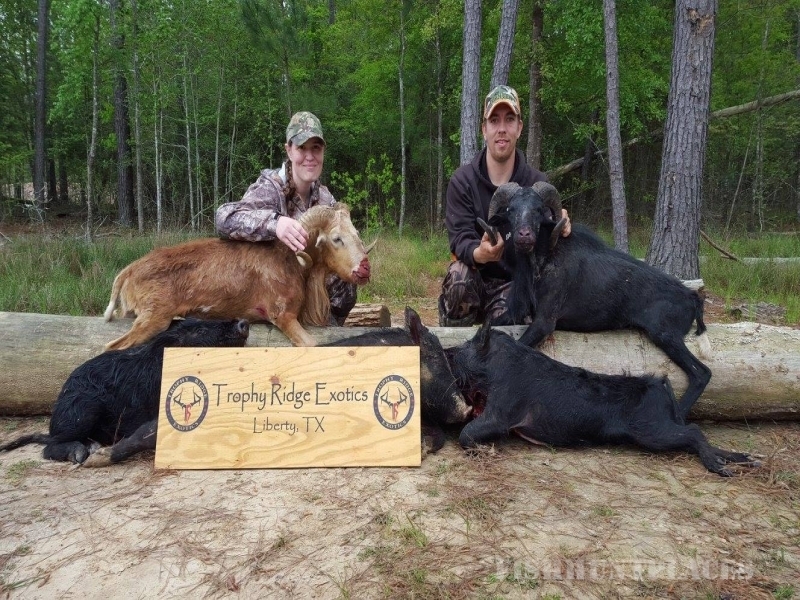 If you need to entertain important clients, reward a successful employee, plan a group hunt, or just want to come enjoy the quality outdoor experience with family and friends, Trophy Ridge Exotics facilities is the ideal place. Our two cabins each sleep 8-10 people. Each cabin is equipped with full size beds, two full bathrooms, a full size refrigerator, a kitchen and a microwave oven. Our recreational lodge has a fire place, bar area, pool table, poker table, dart board, TV area and laundry facilities. We also have a two-level archery range and a two-level firearms range. 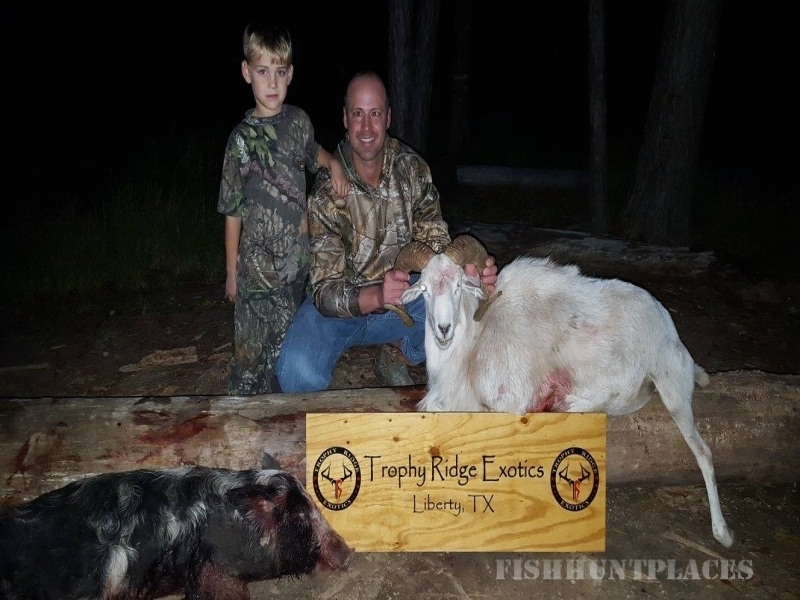 At Trophy Ridge Exotics, we have worked hard to make our ranch the perfect place for experienced hunters, first timers, family and corporate clients looking for quality game, convenient location, high success rates, comfortable facilities, and memories that will last a lifetime.